A small beachfront home is an example of how old buildings can take on a second life. Starting life as a simple brick shed, this home has been reborn as a modern 3 bedroom home set amongst soaring trees and overlooking a small beach. 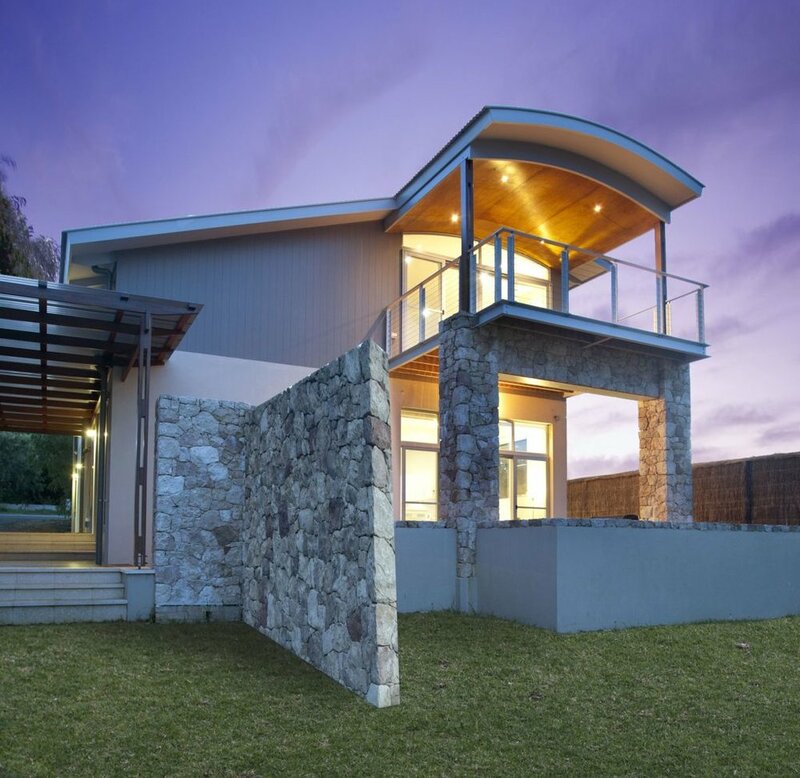 An upper storey lightweight addition of Scyon 'Axon' cladding with curving roof blends the home into the natural environment with spectacular ocean views from the deck and balcony. 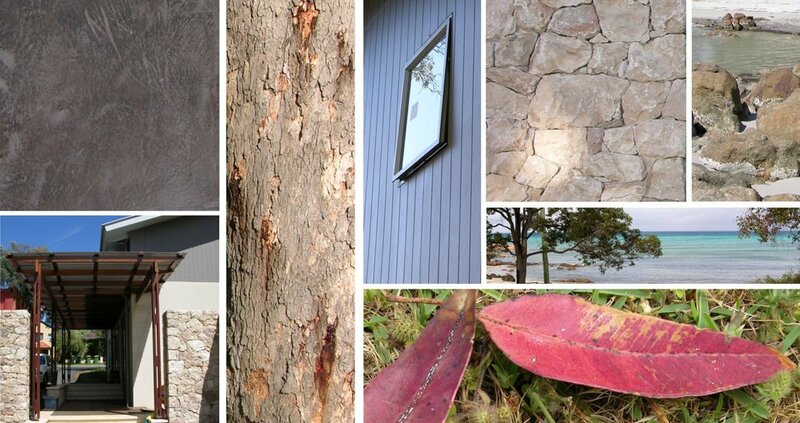 Random rubble recycled limestone has been used for feature walls to reflect the rocky beach in front of the home. Jarrah walkways and decking also reflect the local materials of the region.